Masa and Veronica live in Australia and had used our photo shoot plan in Australia 2 years ago. 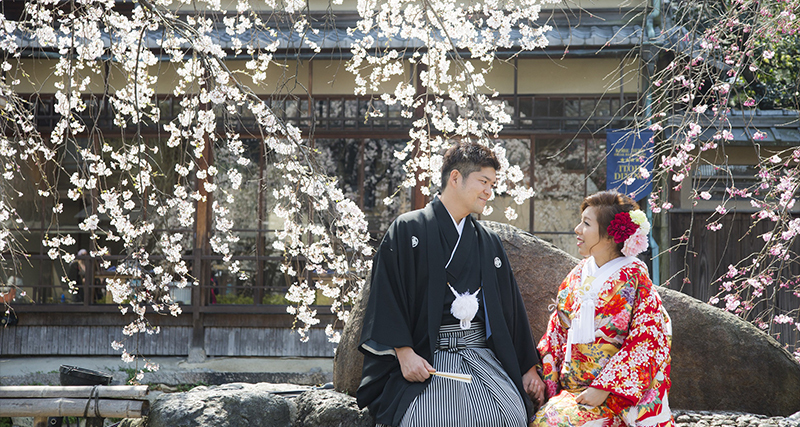 Because they only took photos in a wedding dress last time, they decided to take photos once more in kimono. They were very lucky, as when they came for their photos the SAKURA were in bloom, and it was sunny out. They took a lot of photos with the SAKURA. We hope to see you again on your 10th anniversary, 20th anniversary and beyond. Enjoy your happy life together!